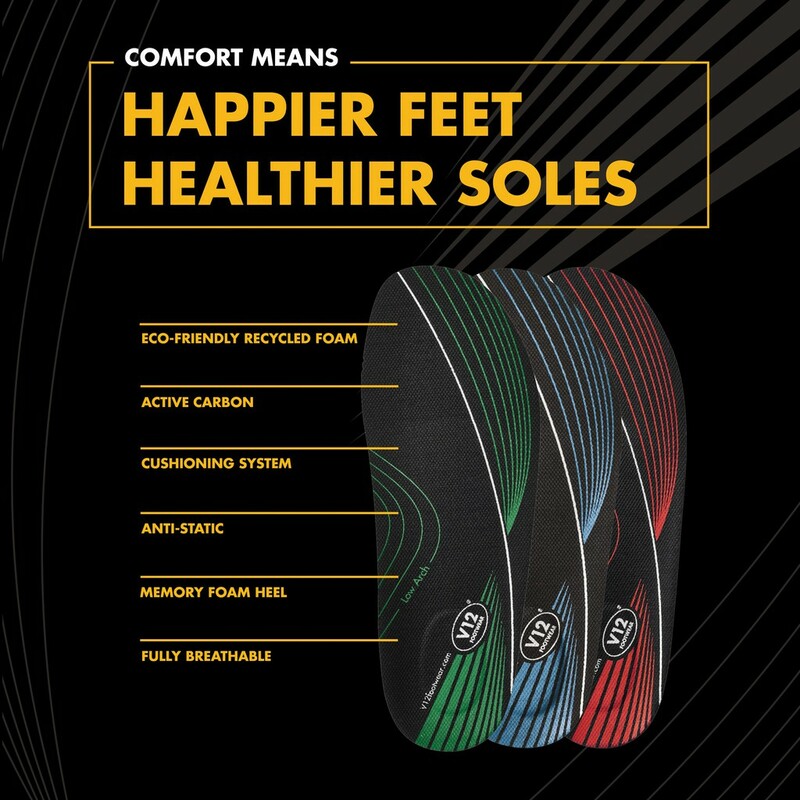 Made from eco-friendly recycled foam, they feature a shock absorbing memory foam heel that provides optimum comfort and aids in helping to reduce the risk of knee, hip, back and musculoskeletal problems that are associated with poor footwear and foot care. The insole complies with anti-static testing, while also completely removing uncomfortable stitching under the ball of the foot. Incorporating an open cell cushioning foam ensures the insole is fully breathable, absorbent and reduces sweat. It also retains its shape and doesn’t become flat over time like many closed cell insoles. V12's insoles also have active carbon built in to neutralise unpleasant odours, keeping your feet and boots fresh all day long. The Dynamic Arch insoles come in three arch sizes – low, medium and high, allowing personalisation of fit.